Internationalization as an inherent part of the institutional strategy plays an important role in the development of education, research, and the institution itself. The following aims and priorities have been established to gain a more efficient and focused training at ELTE: development of the foreign language competencies of Hungarian students; internationalization of programs in Hungarian; increasing the number of courses offered in English and increasing the number of professors employed at ELTE and of guest professors - all involved in teaching activities at ELTE; increasing the number of master programs offered fully in English; strengthening the personnel at ELTE: facilitating the international involvement and networking of teaching and research staff; stimulating students efficiently to participate in mobility programs; increasing the number of double/joint degree programs; increasing the number of international students. 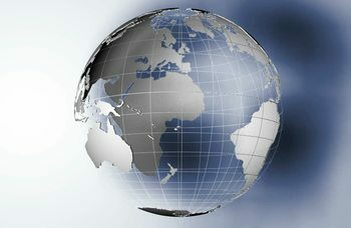 As for research, the following aims have been established: research activities of international standards; a research portfolio complying with national and European recommendations; strengthening research potentials; successful participation on the international R&D market; look for financial sources for research activities; supporting researchers so that they reach results at an international level and in the international dissemination of the results. To reach these goals, ELTE is building an international network of partner institutions and thus supports teaching and research projects and developments within the institution. The internationalization efforts provide students with a wider perspective and improve their employability and they also provide a supporting and stimulating professional academic environment to the academic staff at ELTE.